Travis Perkins have supplied building materials to the trade for over 200 years and are now one of the largest suppliers to the UK’s building and construction industry with a national network of more than 600 branches. More than 100,000 product lines are available to trade professionals and self-builders, including building materials, plumbing and heating, landscaping materials, timber and sheet materials, painting and decorating, dry lining and insulation, doors and joinery, and hand and power tools. Tools can also be hired from more than 200 outlets. Over the past 25 years, we have grown to be one of the United Kingdoms leading independent merchants. Specialising in Electrical Wholesalers, Plumbers Merchants Kitchen Showroom and Bathroom Showroom for Maldon Electrical Wholesaler We are the leading electrical wholesaler for Maldon, have one of the largest ranges of stock items in the county and provide same day and next day service on many electrical wholesaler items - especially if you are in Maldon! Plumbers Merchant We stock everything a plumber could need! From copper tubes to boilers from all leading manufacturers - and all at the best prices. If you can't see what you are after it is most probably because we haven't added it to the website as yet - call us on Maldon (01621) 850115. Bathroom Showroom Our Bathroom Showroom in Maldon has recently doubled in size, which has enabled us to widen both our service and product offering within the Bathroom market. We have designs for all budgets and can offer the complete package including lighting, tiles and an extensive CAD design service. Kitchen Showroom Our Kitchen showroom in Maldon is the latest addition to the Tec family and opened in May 2012, We have designs and styles to suit every budget. Lighting Showroom When you have completed the decorating, building, extending and/or improving then you need to ensure that you have the right lights to show it all off. At TEC Distributors, we have every type of light available. Over 10,000 of them - from outside lights you can drive across to downlighters that are some of the most economical to use in the UK. Come and visit our lighting showroom and speak to any of our experienced team - here in the heart of Maldon. But even with how the business has grown over the years, one thing that has not changed is how we recognise that total customer satisfaction must always be our number one priority. 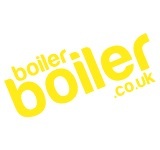 Why choose boilerboiler.co.uk? Investing in a new, energy efficient boiler is a serious business. Not only do you have to decide which type of boiler is right for you, you want to make sure you can trust people who will install it. Sadly, some heating engineers have tarnished our profession. They don’t answer your calls and you never know when they will arrive. So what does boilerboiler.co.uk do that is different? We answer the phone. We respond quickly. We help you choose the right energy efficient boiler for your home and your lifestyle. We arrive on time. We do everything you would want from a professional boiler installation and maintenance company. boilerboiler.co.uk install reliable energy efficient boilers – quickly. We will guide you through the process of choosing the boiler that is best for your home and lifestyle. And we will keep you informed throughout the whole project of installing your new boiler. After your boiler has been installed, we can keep it safe, efficient and in top condition with an annual service. We also maintain and repair existing central heating systems. Our team of Gas Safe qualified boiler installation and maintenance engineers are supported by a trained administration team. They will ensure your boiler installation and maintenance is carried out as smoothly and as quickly as possible. If we sound like the kind of people you would like to install your new boiler and maintain your central heating system, fill in the enquiry form or call us on 01621 332441 and tell us how we can help. Marden Homes Ltd is a leading regeneration specialist. We specialise in buying site and enhancing their value through obtaining planning permissions for residential and mixed-use developments. Out highly experienced land team at Marden Homes has extensive knowledge of the complexities of the planning system, which in turn enabled us to unlock added value in property that others cannot. With new housing developments mainly all over Essex and the surrounding regions, ranging from stylish city centre apartments to detached family homes in the country, we have an exhaustive selection of properties of outstanding quality and value. Here at Marden Homes we know how to look after our staff and our staff know how to look after both our clients and customers. My idea of great food is a simple recipe, made with best quality local ingredients. No fuss, no nonsense, just enjoyable food, made really well. We have a farm shop based in Burnham-on-Crouch, selling the best quality locally sourced meat, local produce, homemade pies, ready meals, parfaits, coleslaw and other delicious farm shop goodies. There are lots of new and exciting things happening with our new prepared foods business too, as we develop our ideas for great quality local handmade food. We have started to supply some brilliant farm shops and other local retailers with a full range of our products and feedback so far from customers has been fantastic. We are a new and young(ish!) team and if you try any of our products, please let us know what you think by phone, email, facebook & twitter, we take our customer’s views really seriously and always looking to improve things! 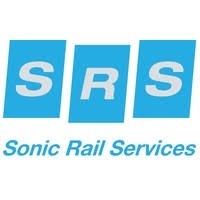 Founded in 1997 and initially concentrating on Permanent Way Works and Electrical Track Maintenance (ETM), SRS developed a DC capability from 2003 to the point of now being the market leader in Electrical Track Equipment (ETE). With a head office in Burnham-on-Crouch (Essex) and satellite offices in Kent and Central London, SRS has expanded and evolved to meet our client's growing requirements. With some 70 direct employees, we have an excellent reputation for delivering all aspects of complex projects to the highest levels of safety and quality; working on both Network Rail and London Underground infrastructures. Working with our clients we build successful, honest and fair relationships; using our expertise and flexibility, we deliver engineering solutions safely, on time and within budget.